No bags of peas or frozen steaks needed! 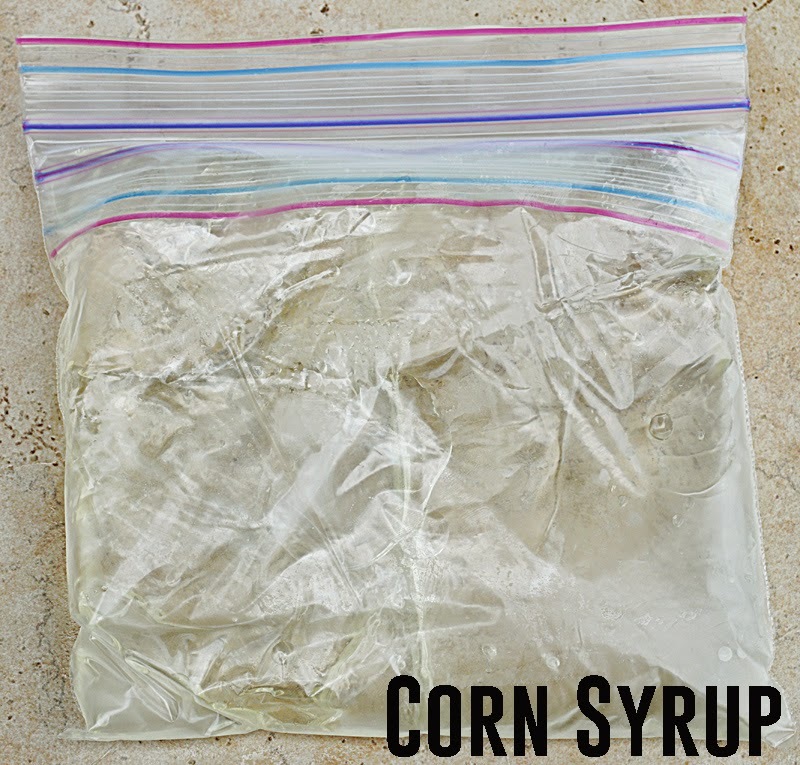 I have found a perfect pin to make some homemade ice packs. Your summer injuries (or diet Coke by the pool) will really benefit from these do-it-yourself options! This is the pin that I found! 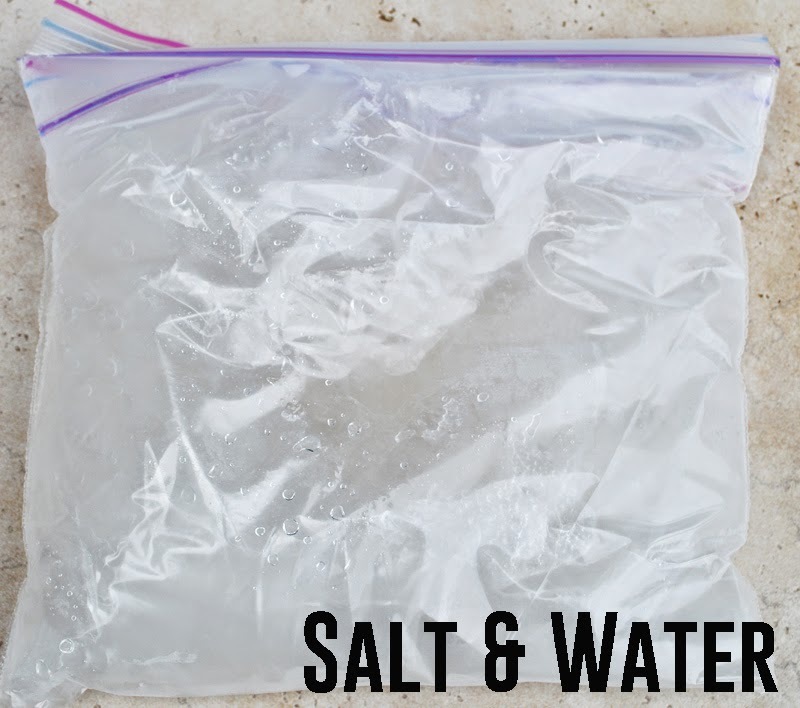 This pin has 5 fun ways to make ice packs and I thought I would try all of them! I tested how long they stayed cold, texture and compared the price. The least expensive ice pack this size I could find on Amazon was $6 so I used this as a comparison! The test: I loved the texture of this ice pack cold! It maintains a gel like consistency which is great for injuries. After about an hour it was still cold but not frozen any longer. In 2 hours, it was no longer cold. The cost was $3.19 because I just used one small bottle of syrup. 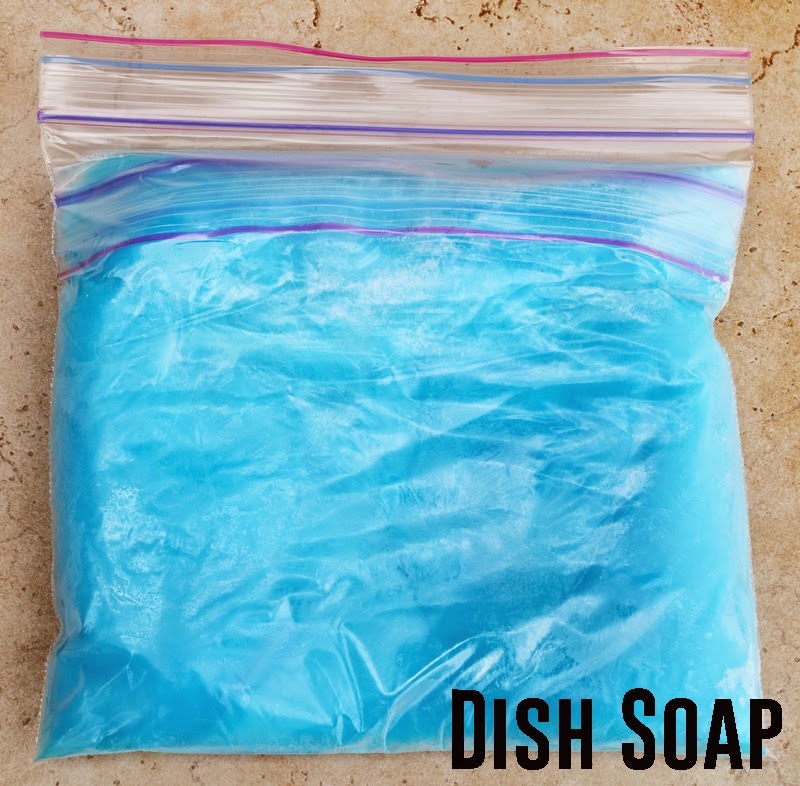 Directions: Pour the Dish Soap in the baggie and freeze! I used one small bottle and I used Dawn Dish Soap just because that is what the pinner used. The test: Again, loved the gel like texture of this. After an hour it was still cold and after 2 hours it was still pretty dang cold, but definitely more fluid. The cost was $2.35. Directions: Soak a sponge with water and freeze. The test: This was hard as a rock so not the best choice for injuries but a great choice for lunch boxes! It was still frozen after an hour and after 2 hours it was still pretty cold! 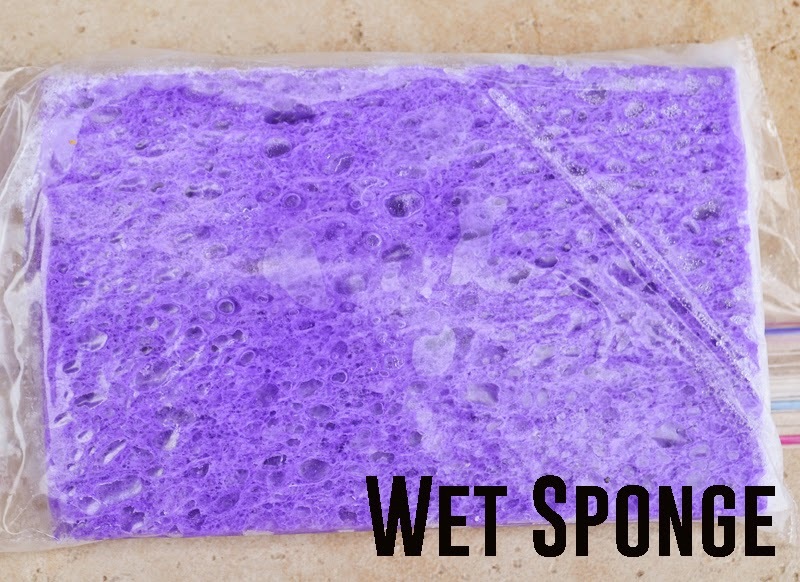 The cost was only $.75 for one sponge. The test: This was a crunchy crystal like texture. Not bad but not super fun gel like the others. The major pro of this was that is REALLY inexpensive! It was still fairly cold after an hour and after 2 hours, about as cold as the sponge. The cost was FREE since we all have salt in the house! Directions: 1 1/2 cups of water with 1/2 cup of Isopropryl Alcohol. 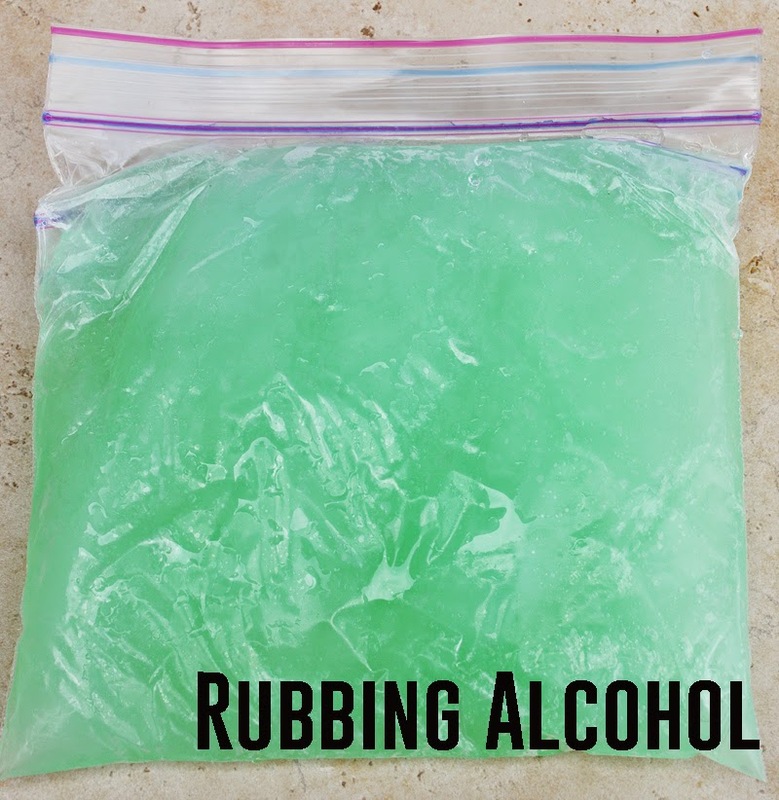 I used the green colored wintergreen alcohol which smelled nice! YAY! Thank you for letting me make some perfect ice packs without having to go to the store, or making a mess :) SALT ICE PACKS WITH GLITTER ALL THE WAY! I need a lot of ice packs because I'm training to be on my high school cross country team, so I'm cranking up my miles. THANK YOU! Awesome! Thanks for trying and comparing all of the recipes. It's tough when you can't figure out which one is the best or to try so this helps narrow it down quite a bit! Thanks again! Thank you so much for your comments Katherine and Stacie! Good luck with your running Katherine and you're welcome Stacie :) Thanks for reading! I'm just a little late to the conversation but oh, well. I fell in October and dislocated my shoulder and tore my rotator cuff, badly. I had surgery last week. It's going to be almost a year to heal. 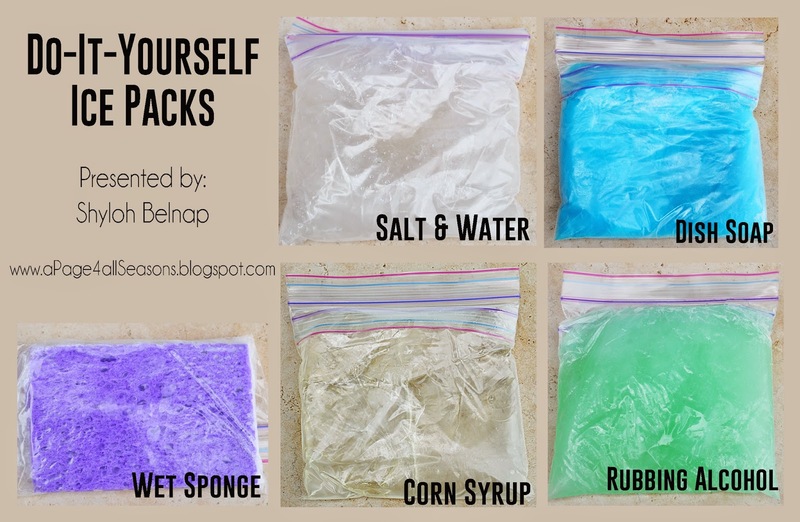 I love the ice pack idea and tried the rubbing alcohol one first. Works like a charm! It stays nice and cold and conforms to my shoulder and arm. Thanks so much! Hello I want to tell everyone About my secret of weight loss. i was very out of shape 8 months ago. then i tried Keto Ultra Diet supplement and it worked like a charm. It actually helps your body achieve ketosis fast and helps to burn fat for Vitality. I recommend u all to try this. Here you can read its review as well.